1) I got a broadband line, connected to the gateway server, the gateway server got two network cards, one for the broadband and one connected to the switch. 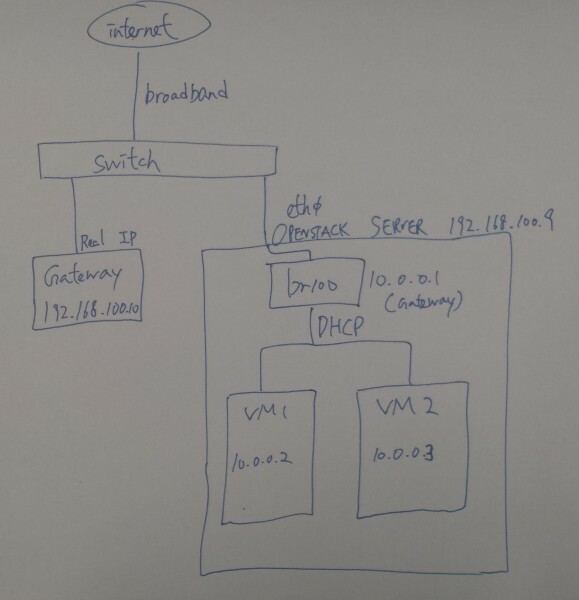 2) the openstack server is connected to the switch and the gateway is set to that gateway server (192.168.100.10). 3) VMs are running in that openstack server, dhcp and flat network.